Like everything in life, nothing lasts forever and even our favorite K-pop groups�will come to an end at some point (although Shinhwa may prove otherwise). As fans, we always root for these groups to get back together one last time but this past week's episode of 'Beatles Code 2' reminded me that in some cases, that's just not going to happen. Former S#arp members Lee Ji Hye and Jang Suk Hyun were guests and while they never specifically mentioned it, everyone knows that the group ended on bad terms and the chances of a reunification are slim to none. While not every group's end is as dramatic as S#arp's, today's Way Back Wednesday will look at some former groups who probably have sang their final swan song together. They may appear on TV shows or still be friends but as a singing group, to steal a line from Taylor Swift, they are never, ever, ever getting back together. Fans have been beginning, clamoring, and praying that the single most important group in K-pop take the stage one last time but I think that ship has sailed. Yang Hyun Suk has stated that the members would prefer that fans cherish the memories of them but that a reunion wasn't in the cards. Between members Kang Sung Hoon's prison sentence for fraud, Ko Ji-Yong's complete disappearance from the entertainment world, and Lee Jae Jin's past mental health issues, Sechskies' brief three year run looks to be one of the fastest rises and quickest ends to a K-pop group ever. Members Bada, Eugene, and Shoo are still close friends and have appeared together on TV shows such as 'Immortal Classics�Season 1' and 'Come to Play' but as each member has moved on in life, I don't think we'll ever see them truly perform as a group again. That's OK though because no one will take the place of my first K-pop crush, Eugene. Technically the group hasn't officially disbanded but I don't think we'll ever see members Teddy Park, Song Baek Kyung, Oh Jin Hwan, and Danny Im sharing a stage again. It's been eight years without a peep from the members or from YG Entertainment about their future and it seems like fans will be left to wonder what the heck happened. The aforementioned group had the most abrupt end to an idol group that I've ever seen. The beginning of the end happened after a fight between Lee Ji Hye and Seo Ji Young before an appearance on a 2002 music show. S#arp's management made the decision to end the group literally a week after the incident putting an end to one of the most bizarre moments in K-pop. If someone had asked me last year following the group's first appearance together in eight years on 'Yoon Kye Sang's One Table' show if they would get back together and perform again, I would have said without question yes. Now, I'm not so sure. Given Son Ho Young's recent tragedy and the fact that nine months have passed since they did appear together on TV, it doesn't look very promising. Even with Hwanhee's impending discharge from the military, Fly to the Sky is probably perpetually grounded. With each member going in different directions in their career, the duo's R&B days look to be done. I guess this one's a given considering the incredible drama and controversy surrounding members Junsu, Yoochun, and Jaejoong leaving the group. There still has to be some animosity there and it's a shame since they were really a pioneering group when it came to taking K-pop to the international level. I wrote in a WBW article last month that CSJH the Grace was a group that, despite their talent, never quite made it. There have been constant rumors about potential comebacks and recording new music but for whatever reason, all four members have not been able to get on the same page. 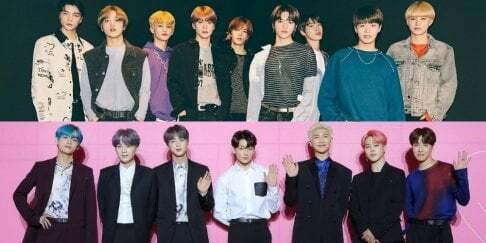 Some of the these groups have completely shut the door on a comeback while others may have a little light peaking through. Either way, the point is to remember the fun times when they were performing... and maybe hold onto a little hope that we'll see them together again.